Home / BREAKING NEWS / Celebrity / Who is Adriano Mazzotti, the alleged Italian criminal who gave Julius Malema’s EFF R200 000? Ladies and gentlemen, I implore you to grab a chair and a jug of water as my analytic scepticism ruffles up a few feathers. I’m going to unravel a little Mr, by the name of Adriano Mazzotti. So, who is Adriano Mazzotti? Adriano Mazzotti is a director of a cigarette company, Carnilinx, which is under investigation by SARS for smuggling and tax evasion. Like sordid and infernal scenes from a thriller movie, everything about this man is robustly captivating and demands the utmost sobriety to fathom fully. They say “all are not thieves that dogs bark at” but surely if integrity sells for so little, it is only fair that proper analysis is conducted before a conclusion is arrived at. In 2005, Adriano Mazzotti and his ally within the alleged crime clique, Martin Wingate-Pearse, became the target of a massive South African Revenue Services’ (SARS) raid on suspicion of drug smuggling. But like any mafia movie, the predictability of the outcome was as the coming of tomorrow – no drugs were found! Upon realising that he was being investigated by SARS and the SAPS for drug smuggling Mazzotti, via his company Carnilinx, allegedly hired private investigators to gather information on those who were investigating him so as to halt the probes into his tax affairs. To this end a case was subsequently opened by SARS. The Mail & Guardian identified a notorious international fugitive, Antonio Lamas, to be a part of Glenn Agliotti’s group, along with Martin Wingate-Pearse and Adriano Mazzotti. There hasn’t been any remotely robust influence by Mazzotti of high note in the media, other than the raid on his home and his questionable relations to Glenn Agliotti. On the other hand considering that he’s in the cigarette company, similarly as Glenn was, leaves a lot of questions unanswered. It is almost as if Mazotti was being groomed to fill in the big underworld shoes that was used by Glenn. After-all, you’re only as good as the company you keep. His sudden political interests are rather eyebrow raising of note. Glenn was linked to President Mbeki, and Mazzotti told City Press that he is good friends with EFF President, Julius Malema, after admitting that he gave Julius R200 000 to register his party for elections. To an ordinary South African, that is an awful lot of money. It is enough to guarantee a prolonged life that is somewhat hunger-free. To the rich underworld individuals, R200 000 merely amounts to a water droplet in a pond. Did the then-estranged Juju’s loyalty cost such peanuts, or is there actually a lot more to this than meets the eye? This pattern is almost monotonous, but the denouement and climax of the plot always tend to slightly alter. Now here’s the cinema part, one which I feel Mazzotti must account for before seeking to further himself in Glenn’s footsteps. Belinda Walter was the attorney for Carnilinx. Carnilinx Director, Kyle Philip, claimed British American Tobacco (BAT) paid Belinda Walter to spy on Carnilinx and leak information to them. Later on, Belinda did the 360 degrees turn and quit as attorney for Carnilinx only to date Van Loggerenberg, the head of SARS investigating her former client Carnilinx. The “surprise” was convenient for Carnilinx, not so? After the alleged probing or spying on those investigating him, it looked like he finally found a sink-hole. Thus emerged an evidently well orchestrated commotion of enigma whereby the art of pointing fingers at each other cancelled out the important matter at hand. It was as much a circus as that occurring in parliament. Playfulness and confusion played the role of a smoke screen. Carnilinx claimed that Belinda Walter fed information about them to SARS and Belinda Walter claimed that Carnilinx was offered tax leniency in exchange for filing the application against her. 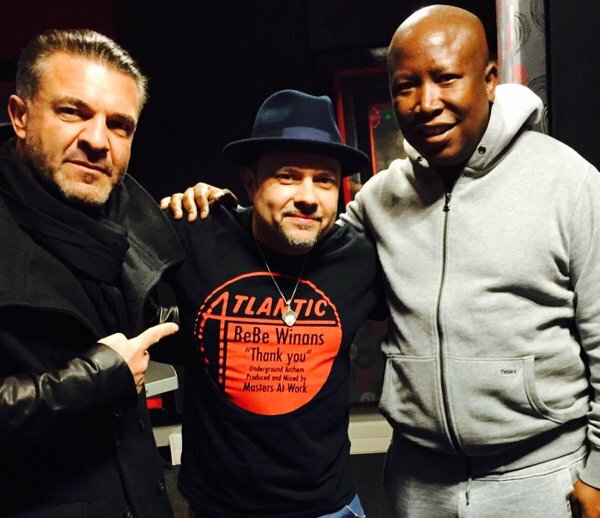 So for a person who claims to serve the people, what exactly is Julius Malema doing with Adriano Mazzotti? This Julius, an orator and facetious comedian, seeks to find friendships with all the bad guys – just like those girls loving bad boys. For a nay singer, he surely strikes as a type to sing out of tune when the shoe is on the other foot. The matter of note is that Adriano Mazzotti managed, in one way or the other, to influence judgement on his SARS investigation. Glenn Agliotti is a free man today. Malema is cleared of sequestration. Really, these are the kind of things that only happen in the movies. Julius, the agent of London and the water boy of the underworld – a pipeline link between international might, monarchy and international drug dealings. It is time we open our eyes South Africans.